Disclaimer: This post contain affiliate links. I only recommend products that I have use and loved or that I wish I had available to me. It won’t cost you more when using my link, but I will get a percentage that will help me keep this website going and support my family. Why does it feel like a blow directly to our soul when we hear our kids say those 4 little words “I don’t like it”. So when you’re at your wits end about feeding your icky eater, here are some tools you can use to get your kid eat. One thing that studies in the area of child feeding have in common is that they are all fonding that the less pressure we put on our kids to eat, the more they will relax and give it a go. And the more we play with our food, the more enjoyable the whole mealtime experience is for everyone. There are some of my most favourite tools you can use to get your kid to eat. You’ll find online resources, baby puree books, fun plates for kids and picky eater spoons to help make mealtime a fun experience again. Save the list for later by Pinning teh image below! 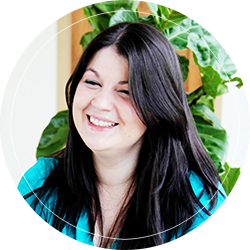 Brain Skills Play Blueprint – Allana is one of my favourite peoples to talk about child development with. Her course goes straight to the point and offers what feels like hundreds of ideas on everyday way to interact and easy games to play with kids that build their executive skills. Gluten-Free Baking Academy – If you want to learn to make gluten-free bread at home, Heather from Yum Universe has put together this amazing course to walk you through it! It’s only open a few times a year, but get on the mailing list to be the first to know when they are accepting enrollments. From Picky to Eating – This is my signature 5 step program where I teach moms an easy way to structure your mealtimes, how to talk to your child to avoid the power struggles, and the technique to add more foods to your child’s safe list. Heal Your Core – Okay Okay, I hear what your going to say. How will this help me feed my child. Truth is, it’s going to keep you healthy and sharp. You have to be in the right mindset to have patience and hold the space your child needs to explore foods at their own pace. Plus, this is the only program that saved my core post babies. Catherine from BRB Yoga, focuses on using gentle yoga and modifies postures that actually strengthened my core without causing more harm. P.S This is my affiliate link, but if you hop over and watch her class she offers a sweet 20% discount … shhhhhh. EzPz Happy Mat – Out of all the fun plates for kids I tried, I love the travel mat the best! The travel bag is big enough where I can fit the mat, a bib and baby utensils. Everything is in one place. In terms of kids dinner plates, I also had one of the larger placement size plate and one bowl. They are more expensive but between the three of them, they were enought to rotate for my babies until they graduated to using the same plates we do. The uniform colour makes them not too distracting especially if your child is highly visual. Avanchy Organic Bamboo Baby Spoons – There’s no lack of baby utensil options. It has been shown that silicone does not leech into our food either making these baby spoons my favourite choice! And these are just too cute. And if you love their baby spoons, you must check out the Avanchy Training Forks. Bambu Baby Feeding Spoons – These are the baby spoons I used the most. I got mine from Well.ca if you are in Canada :). Sometimes they are sold out on Amazon, so you have to keep an eye out for them. Kiddobloom Kids Stainless Steel Utensils – Full confession, I ended up getting my toddler utensils from Ikea and some from Planet Box. For me, these kid utensils are the “item that got away”. The one I wanted but could never justify getting. They are just too adorable [insert love eyes]! Thinkbaby Sippy Cups – I love that these baby sippy cups are stainless steel and keep water an even temperature for our babies. This is one of my favourite brands to use their containers too. Thermos Funtainer – Even for toddler cups, I’m all for stainless steel in the drinking gear department. Just like the Thinkbaby Sippy Cups, I love that it holds the water an even temperature and the surface is non-toxic. Chewey Tubes – Too many teething rings are round, which does nothing to help a baby’s tongue to strengthen and to push back the gag reflex in a safe and natural way. Moving their tongue from side to side is the first motion babies have to learn to manipulate foods. These chewey tubes are the ones I recommend for babies as soon as they start wanting to put everything and anything in their mouths to build on the oral motor skills they will need to eat. I wrote a whole post about how human learn to eat and baby and toddler feeding milestones you might war to read. Squeasy Snacker – These are perfect for baby purees, but awesome because you can reuse them for smoothies!!! I love love love buying items that are useful for babies but also have a purpose as they grow! Helping Hands Fine Motor Tool Set – These are fun tools to bring to the table for kids to play with food. It’s an easy way to take the pressure off and let them focus on exploring without having any expectation they have to eat anything. Choose a meal to bring these toys out where the purpose is to explore unfamiliar foods, like a snack time, rather than the goal being to eat volume. Fun Pick Forks – This is another hack to help your picky eater eat new foods. Food on sticks = fun. It’s just as simple. Kids just love stabbing food and seeing what happens to it. Milton the Mealtime Companion – If you are not particularly creative at coming up with games to play with food or you don’t permanently live in the land of fairies and dragons, this little guy will come to the rescue. One super important thing I teach parents is to talk about the sensory properties of the food. Now you can talk, explore and do it in a pretty natural way with Milton. FunBites – Warning! Your kids will find these addictive hahaha. So only pull them out when you are prepared for food to get mashed. Curious Chef TCC50029 3-Piece Nylon Knife Set – Every child wants to feel like a big kid. These Nylon knives make them just that much more eager to help in the kitchen. Love Powered Co I AM Affirmation Cards – I love using these as part of our story time routine! And they are gorgeous! N is for Nutrition – I fell in love with this book as soon as it came out! I had the chance to have a Facebook live chat with the authors Todd and Amneet last year about their inspiration for creating the book. You can watch the interview here.